Use the form below to inquire about Elegant Resort In Idukki . Use the form below to reserve for Elegant Resort In Idukki . The sheer beauty of the rolling green valleys will make your stay at the Elegant Resort In Idukki a memorable experience. Idukki is a hill station in the Southern Indian state of Kerala that gives God’s Own Country a whole new perspective. 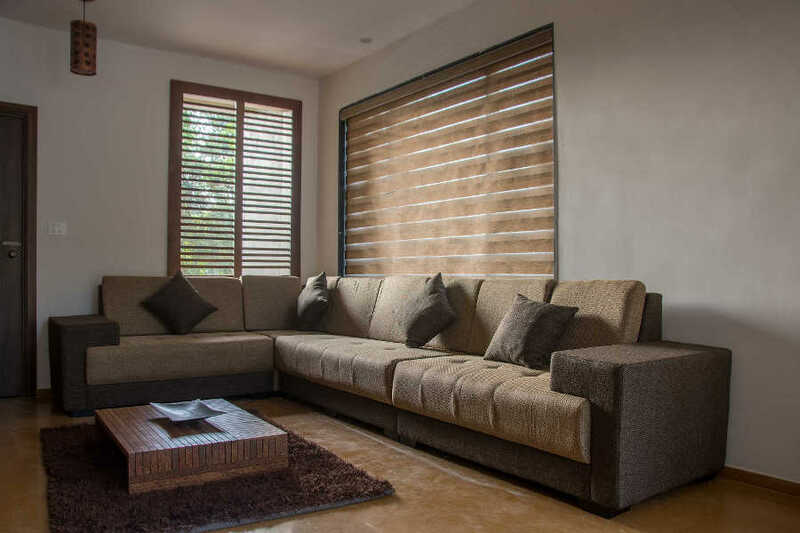 As you are heading to this region, the sea, the beach and the plains give way to rolling hills and verdant valleys. Gushing waterfalls, crystal clear streams and the distant sight of the meandering river below the hills are views to behold. Idukki’s location on the top of the mountains of Western Ghats makes it a great vantage point to soak in the natural beauty and abundance of the region. 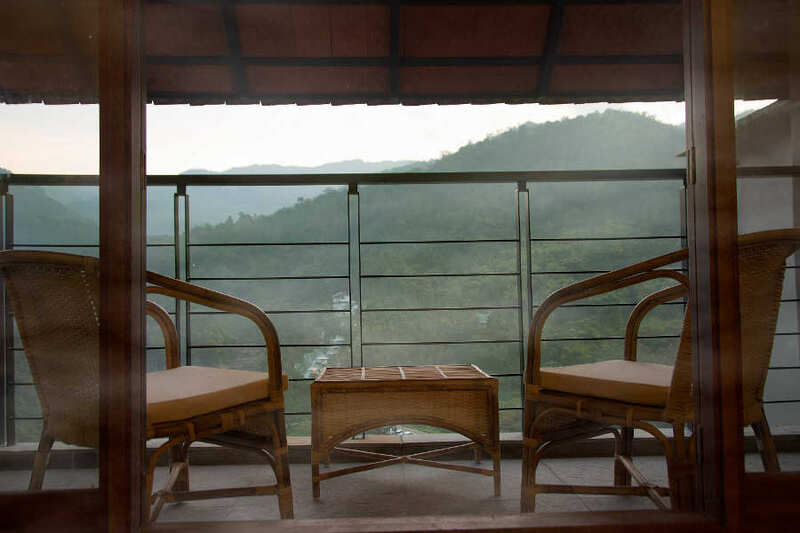 At the Elegant Resort In Idukki, tranquility is a way of life. 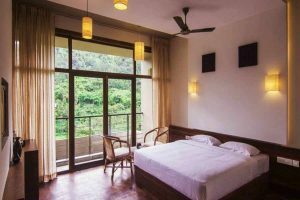 When you stay at the Elegant Resort In Idukki, you can witness a continual game of hide and seek between the hills and mist. The scene of an endless expanse of hills shrouded in a veil of mist is quite enchanting. Forests surrounding the hills around the resort lend them different shades of green. The resort’s pristine location is a respite for city dwellers to get away from the bustle and cacophony. The architecture of the resort does its bit to make you want to stay forever. 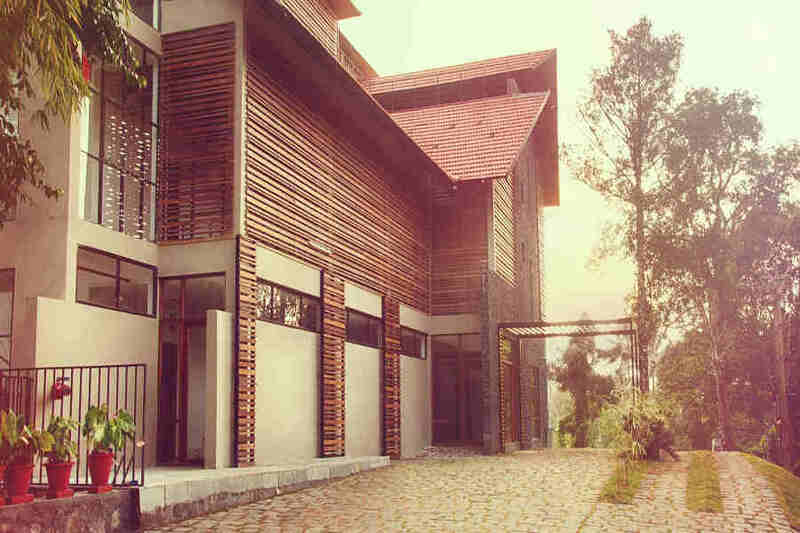 A combination of traditional Keralaite charm and chic, modern design is evident in the interiors and the exteriors. 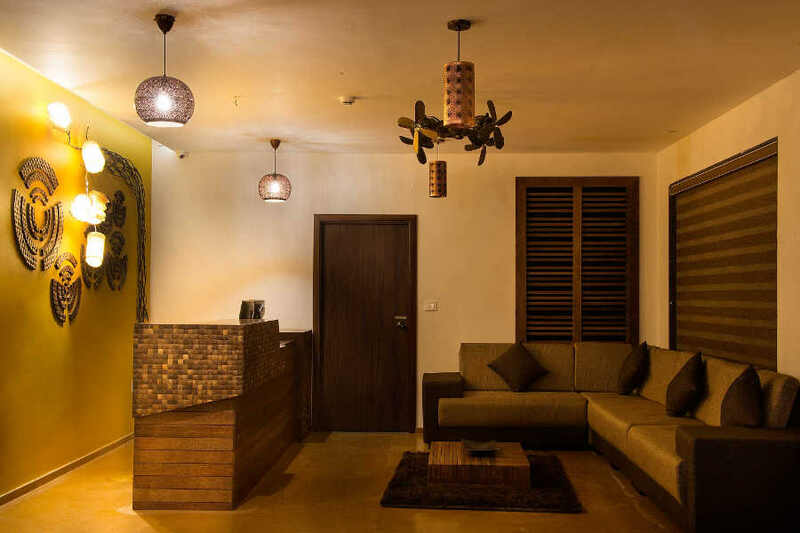 The use of coconut timber in the resort’s construction personifies Kerala’s culture. 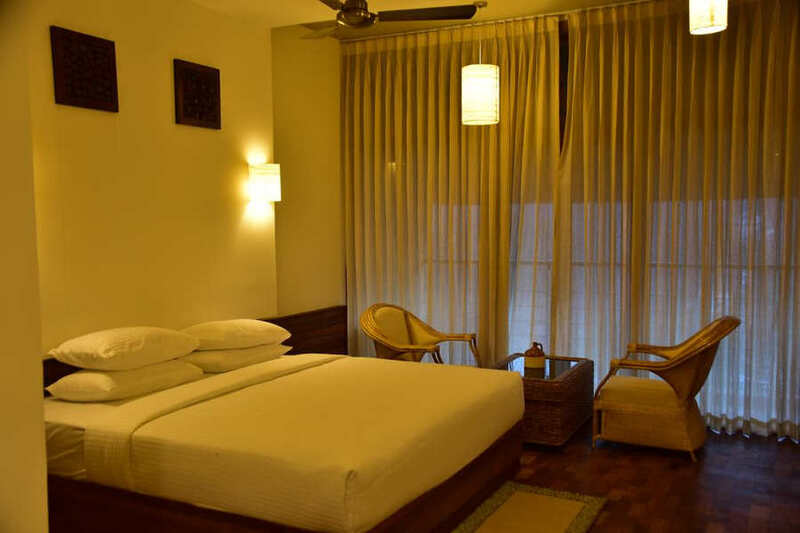 There are 22 rooms divided into three room categories in the Elegant Resort In Idukki. 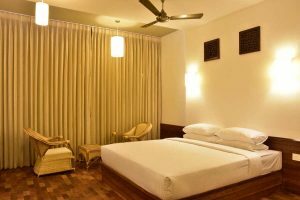 Accommodation in each of the 10 Deluxe Rooms, 10 Classic A/C Rooms and two Club A/C Rooms redefines contemporary luxury. Each of these rooms is spacious and equipped with all the modern comforts. The Club rooms are furnished lavishly with furniture made of pure coconut wood and lamp shades made using banana fiber. They also have a private balcony. The Classic and Deluxe rooms are designed for a comfortable stay. The warm lighting in each of these rooms only compliments all the natural light that filters in during the day. Apart from the ambiance of the rooms, the views they afford are beyond breathtaking. Extra charges are INR 750 and 500 for with and without bed for children between 6-12 years. In case of a no show or cancellation of a guaranteed reservation the hotel reserves the right to levy retention charges for the entire stay . The resort has the provisions and facilities to tug the explorer bug in your heart. You can go on one of the many treks to explore the remote corners and experience the natural beauty of Munnar. You don’t have to worry about getting lost in the wilderness as you will be accompanied by an experienced guide. The resort’s spice garden, spread over three acres of land, offers a great insight into the herbs and spices endemic to the region. Savor the aroma of different spices as you walk through the spice garden. You can also try your hand at archery, badminton or indulge in a cookery class at the resort. Want to treat yourself to the rhythms and steps nature and enjoy the folk tunes of the region? Special performances of tribal dance are organized at resort and you can be part of it. 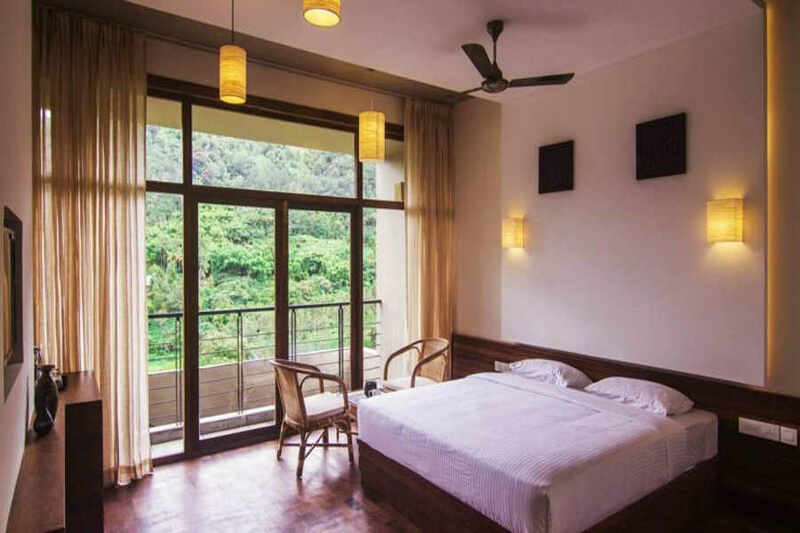 The Elegant Resort in Idukki is a great starting point for your explorations of the hill station. During your stay at the resort, you can visit some of the popular attractions of the region. You can visit Pothamedu View Point, Attukad Waterfall, Power House Waterfalls, Devikulam Lake and Blossom Hydel Park. Tea lovers would love a trip to the Tata Tea Museum too. If the sky is clear, without mist playing spoilsport, the surreal views from the Top Station will mesmerize you. The nearest international airport from the resort is in Cochin aka Kochi, located 98.3 km away. Calicut and Trivandrum airports are 245km and 275km, respectively. The international airport in Bangalore is at a distance of 559 km away from the resort. At 81 km, Theni is the closest railway station from the resort. Ernakulam Junction (116 km), Kottayam Railway Station (131 km), and Pollachi Junction (132 km) are some of the nearest major railheads. The City Railway Station in Bangalore is 530 km away from Idukki and is the best option for those who want to take a scenic road trip. 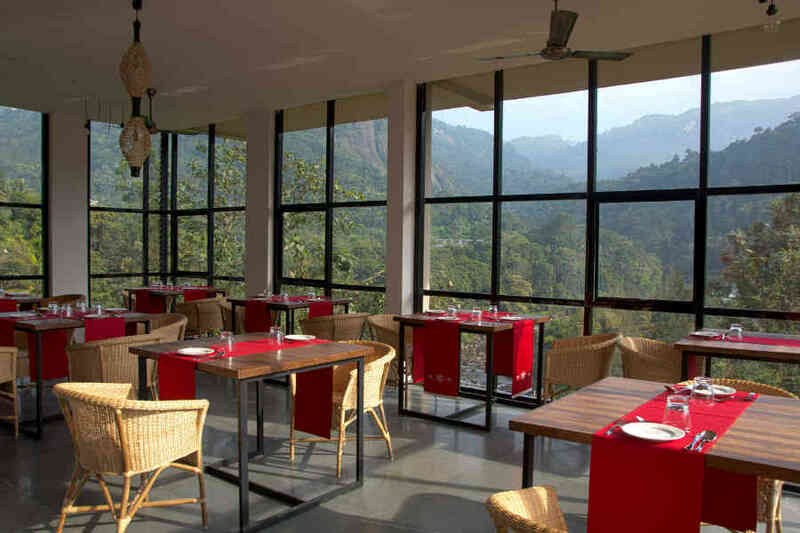 You can drive to the resort in Idukki via a network of state and national highways. It is well-connected to many cities, such as Madurai (156 km), Coimbatore (175 km), Mysore (377 km), Bangalore (526 km), and Chennai (587 km).